Lawmakers headed home for the year Thursday without enacting any changes to Idaho's hemp regulations, meaning it remains illegal to grow or possess and truckers transporting hemp crops across the state line could face long prison sentences under Idaho's marijuana trafficking laws. BOISE, Idaho — Lawmakers headed home for the year Thursday without enacting any changes to Idaho's hemp regulations, meaning it remains illegal to grow or possess and truckers transporting hemp crops across the state line could face long prison sentences under Idaho's marijuana trafficking laws. The stall-out comes despite hemp's recent legalization on a federal level and Idaho lawmakers' vows to do something to eliminate the confounding legal morass that has sprung up around the crop in the Gem State. President Donald Trump signed the 2018 Farm Bill in December 2018, reclassifying hemp from a Schedule I narcotic to a legal agricultural product. Hemp, a version of the cannabis plant grown for its fiber, is genetically related to marijuana but contains extremely low levels of THC, the psychoactive ingredient that gets people high. Under the Farm Bill, hemp is defined as a cannabis plant with .03 percent THC or lower. That designation is at odds with Idaho's criminal law, however, which defines cannabis with any detectable THC as marijuana. The discrepancy was thrown into focus in January, when Idaho State Police seized a semi-truck load of hemp passing through the state, and arrested the truck driver on drug trafficking charges. That case, which remains pending against 36-year-old Dennis Palamarchuk of Portland, seemingly galvanized legislators into action. But despite early bipartisan support, a bill to allow hemp to be grown in Idaho and transported across the state ended up routed to an agricultural committee to die. A second attempt, a bill that would have created a permit system allowing drivers to legally transport the crop through Idaho, was killed by the House Thursday. 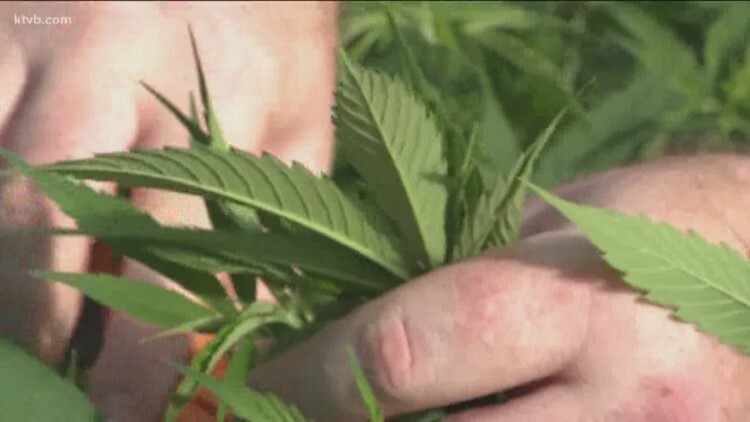 Representatives said they voted the bill down because of their disapproval of a Senate amendment that would have put the onus on Idaho to figure out a way to regulate hemp, rather than opting into whatever plan the federal government comes up with. Although members of both the House and Senate expressed frustration with the lack of a solution on hemp, the Legislature opted to adjourn for the session rather than try again to come up with a bill that would satisfy both sides. Sen. Grant Burgoyne, D-Boise, said the chasm between federal hemp standards and Idaho's rules create "unnecessary chaos" that sweeps up everyone from unsuspecting drivers like Palmarchuk to taxpayers forced to foot the bill for costly prosecutions. "This is a bad situation for the companies involved, it's a bad situation for the drivers, and its a bad situation for the people of Idaho," he said. "Idaho will now begin to fall behind what's going on in the rest of the country, and that will present more issues and problems." Burgoyne said that because interim committees have already been set, any conversations around hemp before the Idaho Legislature reconvenes in 2020 will be "informal" at best, but predicted that hemp legalization will be a priority in next year's session. "It would have been better to have a path forward, where we could do some planning this year," Burgoyne said. "We're not going to have that." Rep. Judy Boyle, R-Midvale, said that although she did not support the amended hemp bill, she thinks Idaho should stop classifying the plant as a narcotic. "Hemp is a commodity - it's not nuclear waste, it's not marijuana, it's not an illegal drug, and we need to just treat it like a commodity like it is," she said. Boyle acknowledged the confusion swirling around the crop's legality, telling KTVB that farmers in her own district had signed contracts to grow hemp in Idaho after getting reassurance - wrongly - from other elected officials that it was now legal. She says Idaho should look to the United States Department of Agriculture, which is expected to roll out a plan to regulate the Farm Bill hemp rules in early fall. At that point, she said, Idaho can decide whether to adopt the USDA playbook or come up with their own. Sticking with the federal plan will be the cheapest and fastest way to make hemp legal in Idaho, Boyle said. It would also eliminate the need for ISP, which has opposed legal hemp, to sign off on a state plan. There can be no changes to hemp enforcement or legality in Idaho - meaning that anyone who grows or transports is could still face prosecution - until the federal plan is revealed and Idaho either adheres to it or adopts more restrictive guidelines, she warned. "Right now, hemp just needs to stay in whatever state has legalized it until that happens," she said.